Cone Strainers | Welcome to Hillside Wire Cloth Co.
Cone strainers, or witches hat strainers, are generally a temporary devise inserted within a fluid production line to provide filtration and protection for the pumps, valves, meters, and other mechanical components that could be otherwise impacted by the pass-through of particulate matter within the processing system. 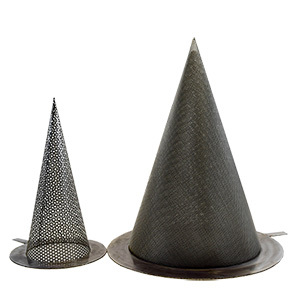 Exactly like it sounds, a conical strainer is shaped like a cone. 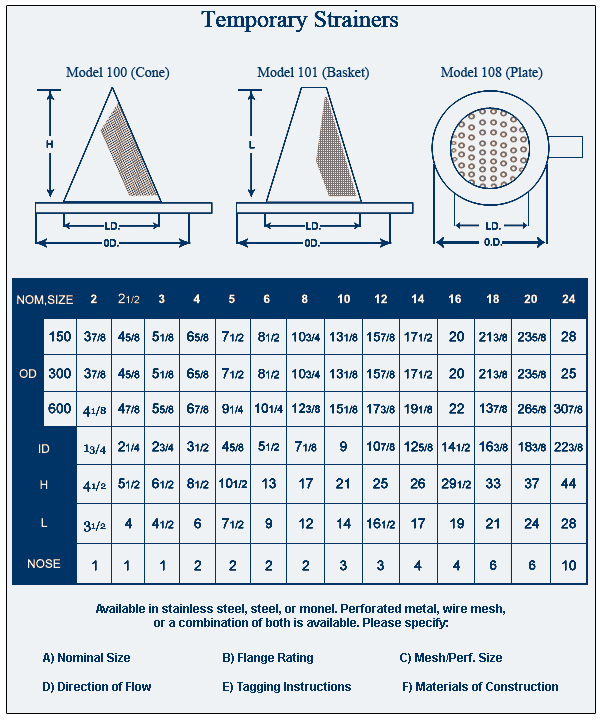 The cone strainers are typically constructed of wire mesh of varying materials and apertures, based on the facility’s processing needs.